A weight lifted from Tony Fair's shoulders. The 6-3, 330-pound junior college defensive tackle from Pima Community College in Tucson, Ariz., verbally committed to Nebraska on Thursday. He became the 12th member of the Huskers' 2019 recruiting class. "It was a big burden off of me," Fair told Hail Varsity. "I can now feel comfortable and enjoy my last season [with Pima]." It's been a long journey for Fair, too. The South Bend, Ind., native graduated from high school in 2014 and signed with Indiana State as a part of the 2015 recruiting class. After a redshirt season at Indiana State in 2015, injuries kept him out of the game in 2016. It seemed as if Fair's college football career may be over, but it was really only beginning. Fair found his way to Pima where he recorded 98 tackles in 2017. That included seven for loss. He has one more season with Pima in 2018 before he enrolls at Nebraska in January 2019. 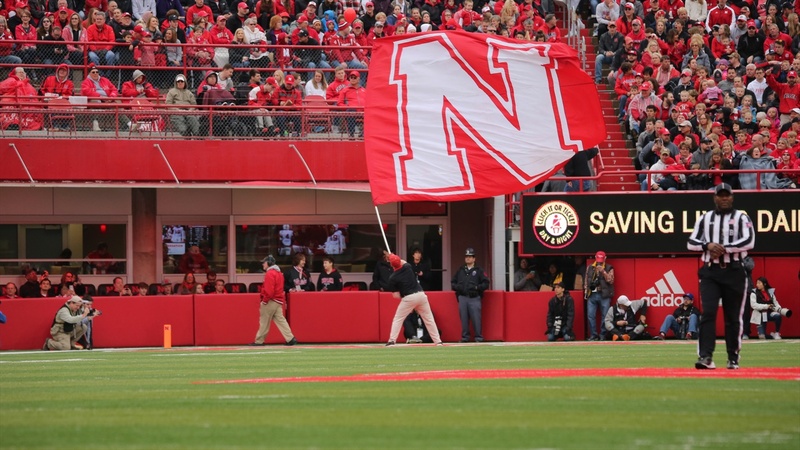 Until then, Fair plans to visit Lincoln on Sept. 8 when Nebraska faces off against Colorado. He's eager to see the atmosphere in person and to get a feel for Memorial Stadium at capacity. The only catch? Fair's not sure he'll want to go back to Arizona after the visit. "I'm ready for it," Fair said. "I can't wait to get there. I'm ready to drop everything and run there right now." What advice would you have for other junior college athletes going through the recruiting process? "I would say to trust the process. If you are a good athlete and you know you are, you will be found and they will get you. I have a brother [cornerback Haki Woods] that plays for Oregon right now. Basically, he came down here to this community college first and we didn't have anything. He called me the year after and said, 'You should come down here with me.' That's when I decided to leave Indiana State, too. He started getting scholarships to all of these schools and I asked, 'Man, what are you doing to get them?' He was like, 'If you're good enough, they'll come to you. You just have to be patient.' I said OK, but he was still getting more scholarships while I wasn't getting anything. I started stressing out that I must not be good enough, but at the end of the day, it just wasn't my time yet. I couldn't even leave yet if I wanted to. You just have to trust the process. If you're a good athlete, it will come to you." When the offers started to come, what did you think? "I couldn't believe it was real. I was trusting the process and I do believe if you're doing good things, good things will come back to you for the most part. I know bad stuff can happen, but I believe if you're doing good and you're working out and doing everything right, something good is bound to happen." Any offers not pan out? "I had an offer from USC in February, I believe, but the problem was that I couldn't leave now. I couldn't leave right away, so they ended up pulling it and saying they'd be back around to check me out, but then Nebraska came through. I saw the coaches and was like, 'OK, I want to play for these guys.'" What did you think when Nebraska offered? "I was smiling. There were no words and I had no idea what to say. I know my head coach here [Jim Monaco] was crazy. He was like, 'You better take that offer.' I didn't know too much at the time but I looked it up and saw who would be there and thought, 'Oh man, they know what they're doing.' I talked to my mom and dad about it and they were all on board. Seeing the fan base, I love the fans. I want to make them happy, too. I know you can't always make them happy, but I'd love to make them as happy as much as possible." Had you waited, more programs may have offered throughout the 2018 season. Why did you commit now? "Nebraska was basically tailor-made for me. They need a nose and they're going to basically train me up to it. The seniors are graduating and there will be an open spot and they need me. Plus, the coaches are awesome. So, why not? I've asked myself if there's another team I really want to play for and the answer is no. Nebraska has the fan base. They need me. What's the problem?" Did you have to keep any secrets during your recruitment? "The biggest secret I had was me going to Nebraska. I was trying to put together a whole video but it didn't work out as planned, so I just said, 'Forget it, I'm going to make this real because this is more serious than that video.'" When did you officially decide to bypass the video and just announce? "It came when I talked to my head coach on [Wednesday]. He told me that I need to make some stuff happen, because this is Nebraska and they can get anyone they want. They could shoot an offer out and someone would come running real fast. I knew he was right and you only get this opportunity once in a lifetime. Why not take it? I wanted to hurry up and take it before someone else took my offer." If you were in charge of the NCAA and could change any rule about recruiting, what would it be? "It would be players being able to transfer once they have a scholarship somewhere [else]. It holds players up, and anything can happen — including injuries — in this time that we're stuck. And I have no problems with Pima. It's just not Nebraska." What should Nebraska fans know about you? "I'm very goofy and I love people. That's what's major about me. I'm not one of those stuck-up guys. I really love people and I want to make everyone smile. As long as I can make someone smile, I'm good."